Highly recommend Shawn, he was very knowledgeable, nice and not pushy at all. He helped me make the right decision for the right price. Don made purchasing my new truck a breeze! Providing me options and giving me the best suited to my needs was effortless and enjoyable! Thanks team! I made a cold call to the location one day looking for a specific package of truck. Don went to work and helped me find a few that fit my wish list. We worked on specifics and found a truck that worked for me that was right on their lot. We negotiated price and made the deal in a few days. Don and Rob helped close the deal, listened to what I had to say, and came to a price we agreed on. Communication was always pleasant and this instilled trust in the large purchase I as about to make. Professional operation at this dealer location. Top to bottom, from the front reception staff to the cleaning crew running around the building making sure the showroom was spotless. A+ rating. Purchased a 2014 Jetta from Shawn, Misty and Lawton. Great vehicle, came very clean and it was a great customer service. Definitely recommend them. Came all the way from Regina and it worked. We had an amazing experience with Don Butchko and Ken Bart at Knight Ford Lincoln. From their initial phone call to find out what I wanted and needed in a vehicle to the amazing service on the day of test drive and sale. 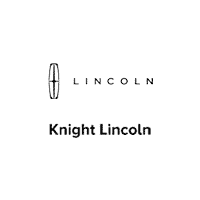 The F150 we purchased is amazing and I will shop and recommend Knight Ford Lincoln to all friends and family. Thanks for making US feel like family.